Farewell summer, you will be missed and with the exception of some extremely high humidity situations that can be a bit annoying, the thought of having to start layering clothes again does not excite me one little bit. I do love flipping though my phone at the end of each season and remembering some of the great things I found as I like taking snaps of all the things even though half the time I forget to share them on social media. 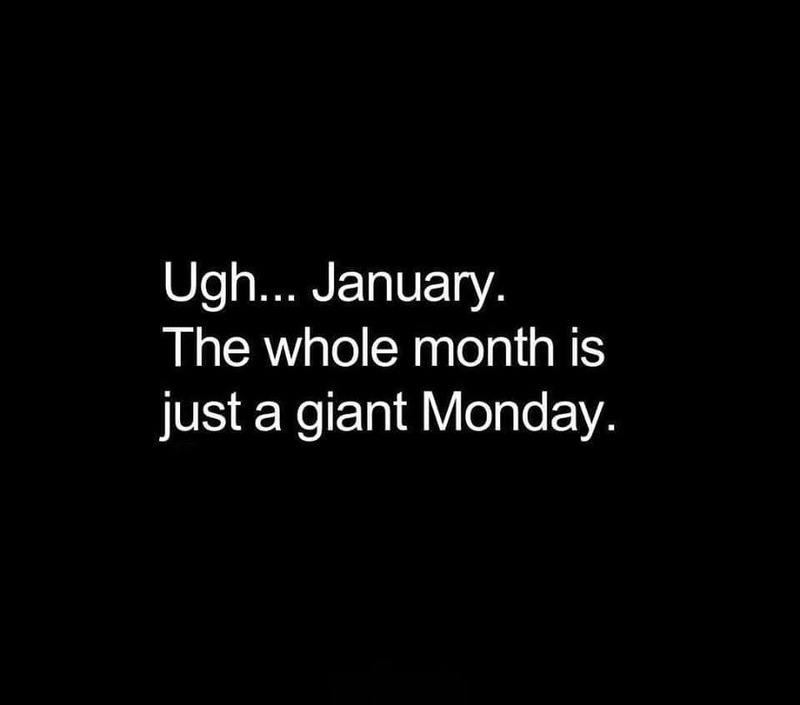 After all the Christmas festivities we launch straight into the month of birthdays. A group of girlfriends of mine have a combined birthday party as three of us share birthdays within a week of each other. 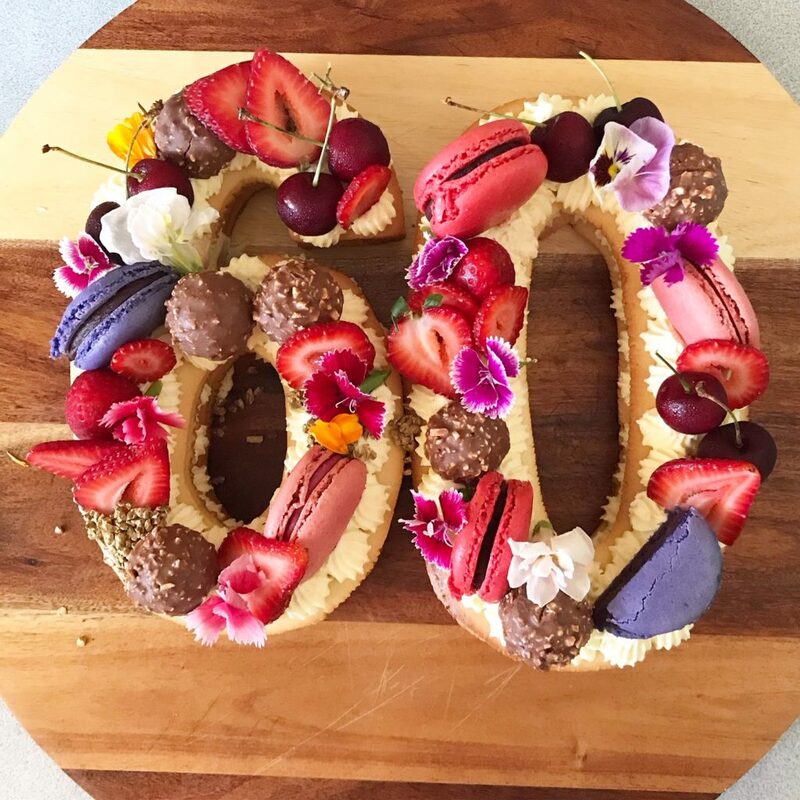 This years fun was a little bit special as we got to celebrate a 60th. I met Helen when I was 21 and she was my next door neighbour. The amazing cake was made by a friend of Helen’s and was just one of the highlights of an awesome day. 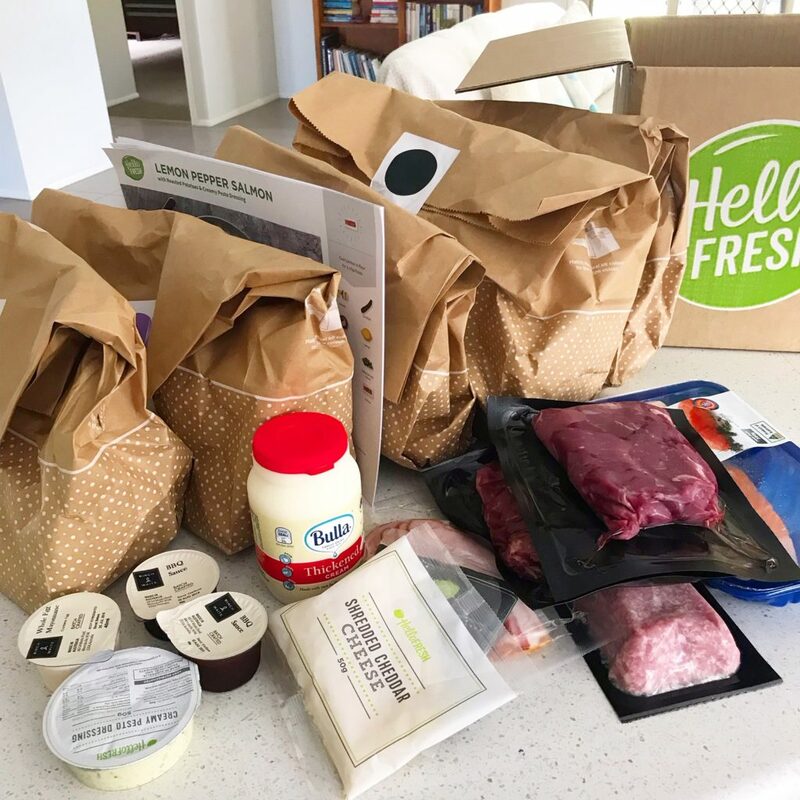 Miss WW received a huge discount voucher for Hello Fresh, so we decided to try it out with a 5 night pack. Everything needed for 5 dinners was delivered to the front door and the biggest decision we had to make was which bag were we going to try. 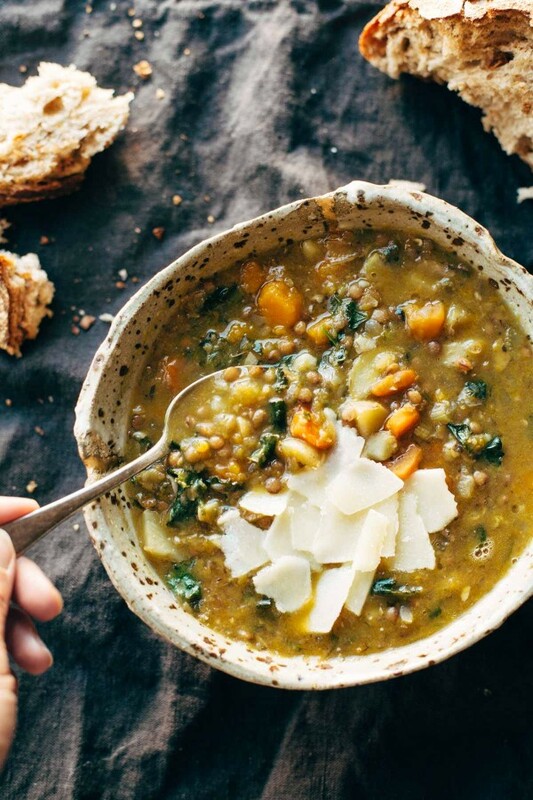 Almost everything you need to create your dinner was included with the exception of a few pantry staples like eggs, olive oil and soy sauce….which I quickly discovered was not anywhere to be found in my pantry. Thankfully I had a bottle of sweet soy which stepped up and saved the day. I was impressed with the quality of ingredients provided and they are easy to make just a little fiddly sometimes. I really don’t want to have to peel and chop garlic almost everyday. Each meal tasted fabulous though and is on the table in about 30 minutes. I could not use this service every week as I don’t want to eat carbs every night and some nights I need meals that are even quicker to prepare as I come home exhausted from work and have zero desire to chop and prep a 3 part dinner. Whilst we are chatting about all things food, you need to know about this superior snack surprise I discovered. I had to help a customer find this item in the store the other day as they were on special and she wanted to stock up as apparently they taste amazing. 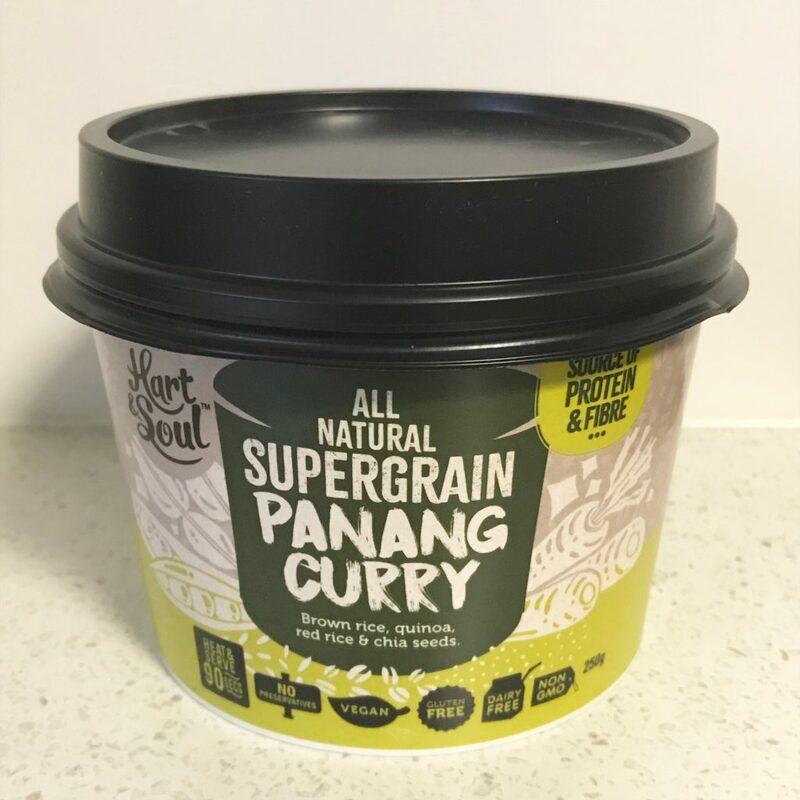 I do love the tingle of tasty Thai curry and Penang has always been a fav of mine, but packaged ‘meals’ are not, but she did such a good job telling me all about this item I just had to buy one to try. She was NOT lying, this nifty little pack contains the grain blend and the sauce in separate sachets which you simply open and pour into the container, place the lid on and give it a quick zap in the microwave. It is a perfect size for lunch or light meal and the flavour was amazing. Add this to your shopping list and you wont regret it. Surviving summer successfully in Brisbane does require light dressing and 100% cotton is a must. These great pieces were gifted to me from Vivid International and have been on high rotation this season. They come rolled up, you wear them, you wash them, you roll them up and tell your iron that its service is not required. 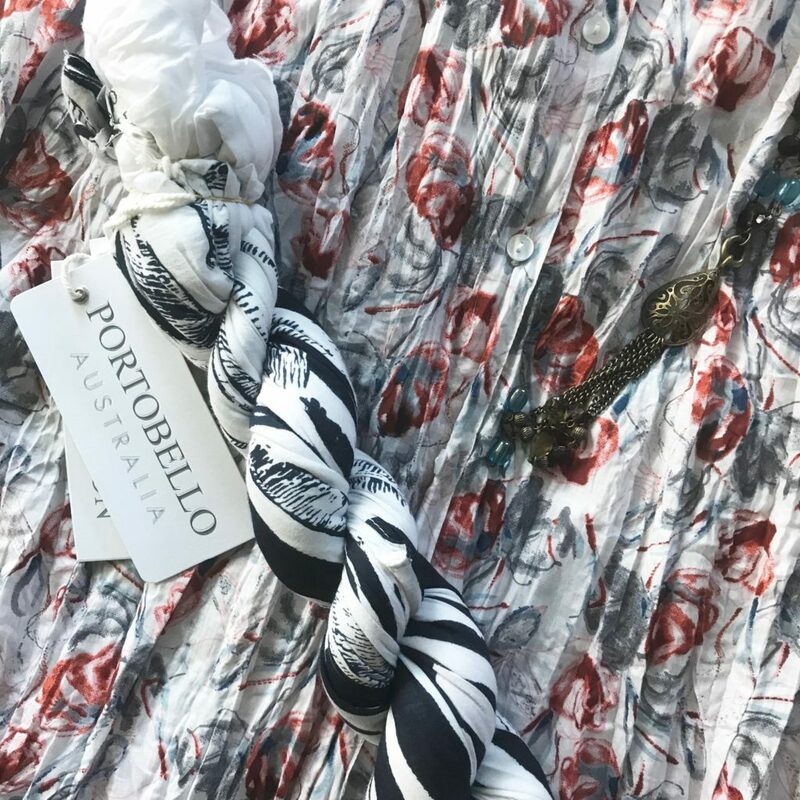 These long tops and dresses are also great for a getaway as you pack them rolled and they take up no space at all and are ready to wear when you arrive at your destination. When it comes to handbags and wallets, I do love some nice leather. 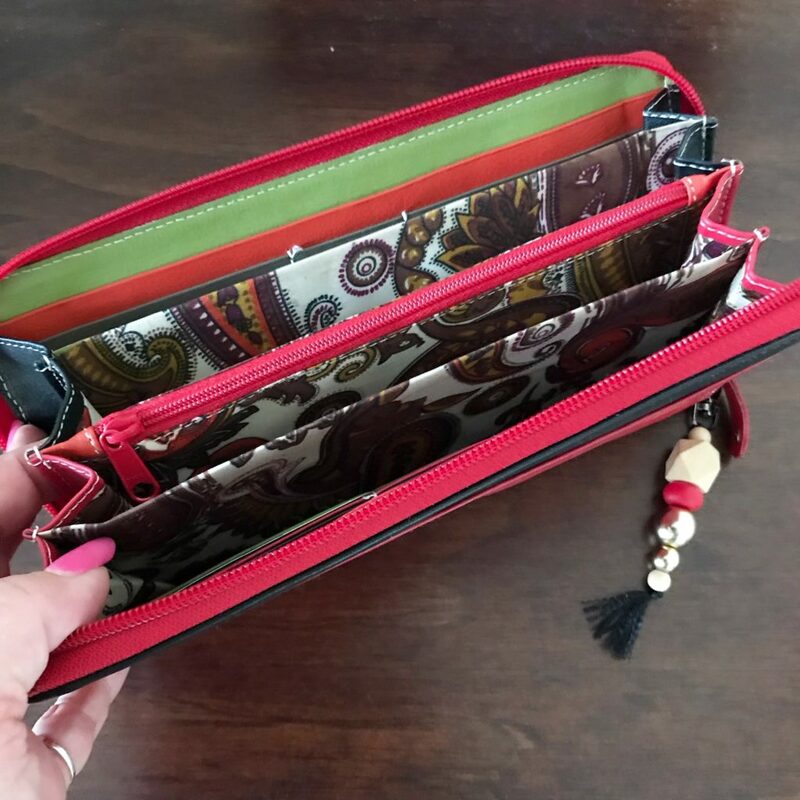 Scored this red and black, Italian leather beauty that even has inbuilt card security sewn in for only $60.00 at the Eumundi markets. Its big and fits ALL the things and smells divine, so happy with my purchase. 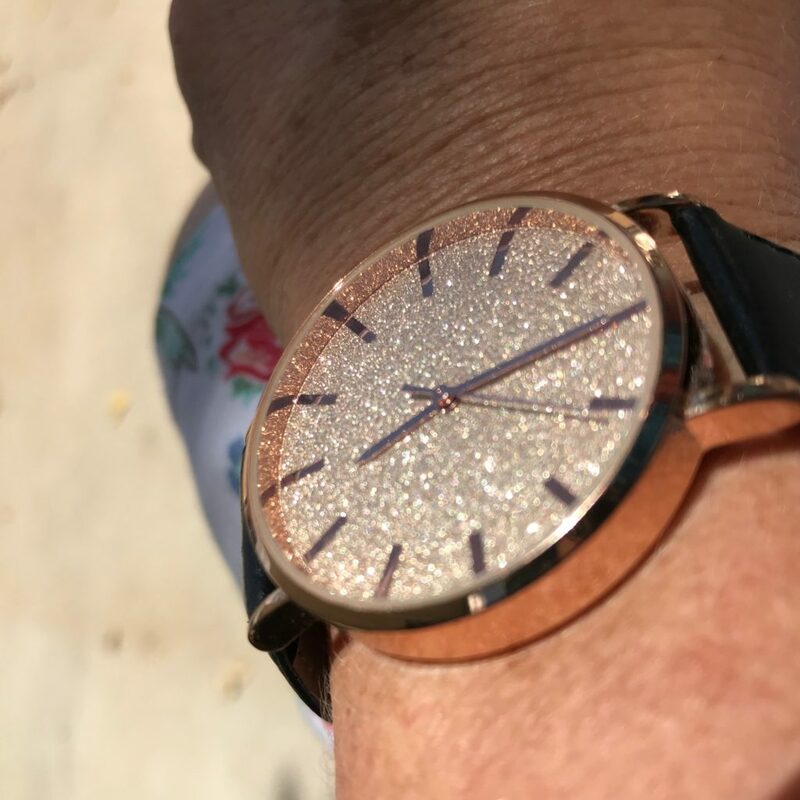 When you discover all your watches need new batteries and there is not a jeweller or Mr Minit close by, but Kmart comes to the rescue with a whole lot of sparkle for $9.00, and a few weeks later it is still working, winning! Well Autumn, what fun and surprises do you have instore, suppose we will just have to wait and see what the camera roll reveals in 3 months time. What great discoveries did you make this summer? Forty years ago in a small country school in Yankalilla sat 5 friends on ‘their’ steps. Wearing the obligatory duffle coats and desert boots we were cruising through year 10 and did everything together. When the year drew to a close, we were all separated. As the schooling standard at many area schools was way below par, if you wanted to go to University you had no choice but to finish year 11 and 12 at city schools. 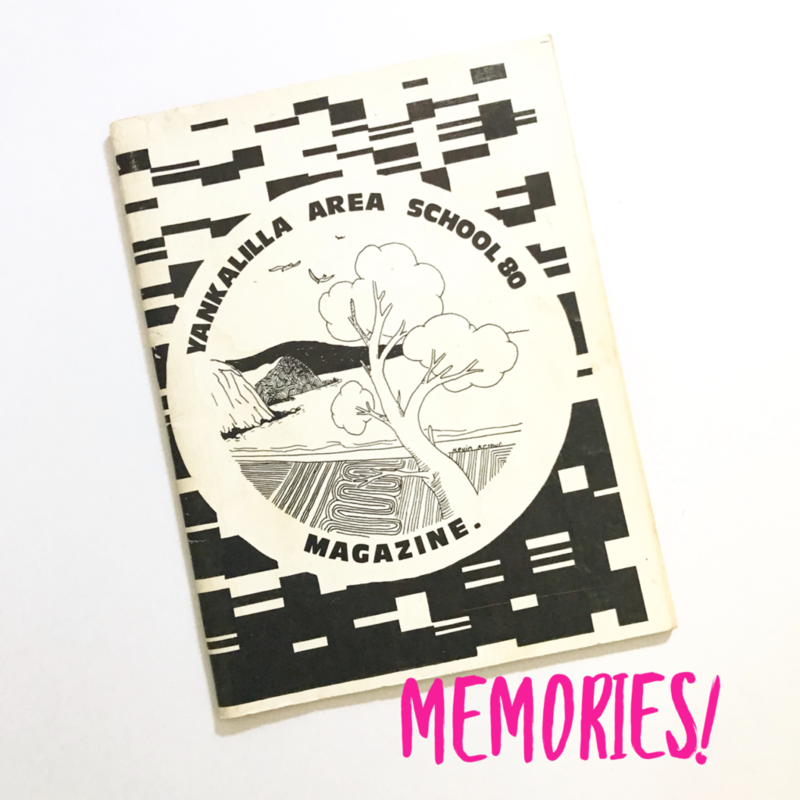 With so many schools in Adelaide we all ended up going to different ones and for a short while we tried to keep in touch but it did not last. I kept in touch with Kerrie and even went back to Adelaide for my 50th birthday so I could see the pandas. Kerrie kept in touch with Pam and last year we managed to organise a girls weekend with the three of us and we had a ball! Whilst sipping Ink gin, we got our detective caps on and with the help of a little Facebook searching we managed to track down number 4. We had a Facetime chat and promised to organise a weekend get together. We were all to busy to schedule it in late last year but all agreed to make it happen on the Australia Day weekend. On a very warm weekend, we made ourselves at home by the pool in Kerrie’s complex, which we had all to ourselves. 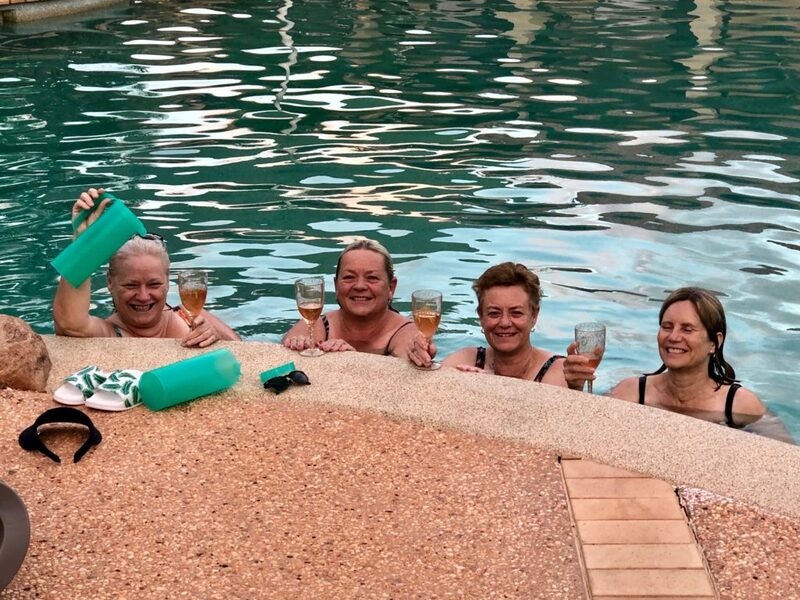 With the help of wine and plastic glasses (of course) we splashed around in the pool for 2 1/2 hours! The next day we ventured to Eumundi markets and it took up almost 5 hours to walk it from top to bottom. 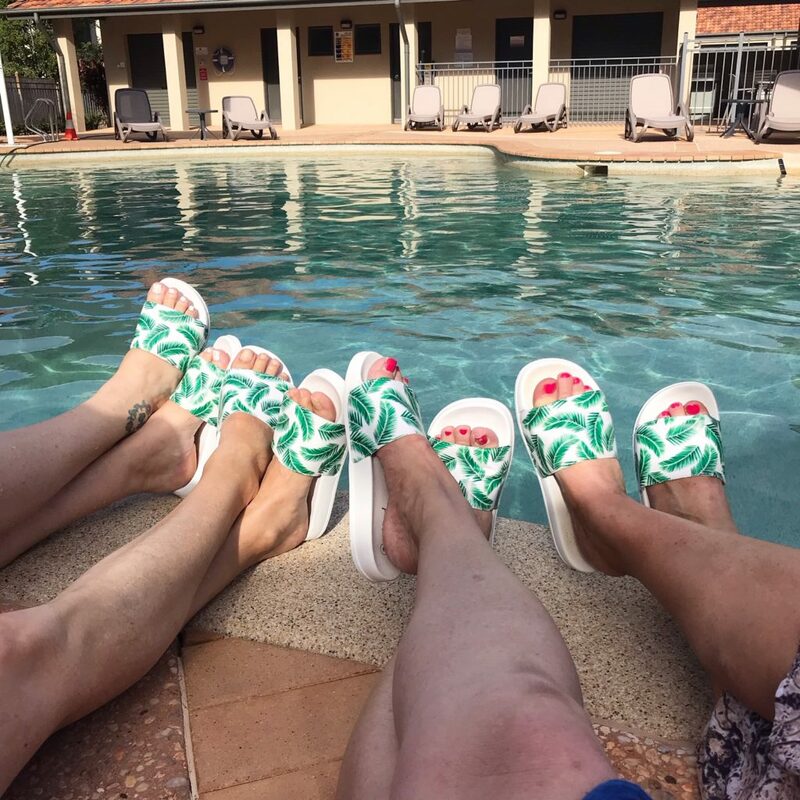 The South Australian’s enjoyed buying lots of clothes that are different from the things you can buy in the usual chain stores. We talked a lot, we ate a lot and we drank a lot. If any of us had concerns whether it might all be a little bit awkward after all these years, they were quickly laid to rest. It was so much fun to catch up on the last 4 decades of news and family happenings. Unfortunately I had to head home on Sunday even though the others had another 3 days together, but some of us had to work on the public holiday and get paid ridiculously large amounts of money for doing so. The only thing missing from this awesome girls weekend was our 5th partner in crime. We believe she moved to the UK and got married, but no amount of Facebook searching helped and as we don’t know her married name we just drew a blank. Georgina Woods if you are out there and this post ever finds you, get in touch as no matter where you are in the world our next girls weekend can include you too thanks to modern technology. Do you have life long friends? 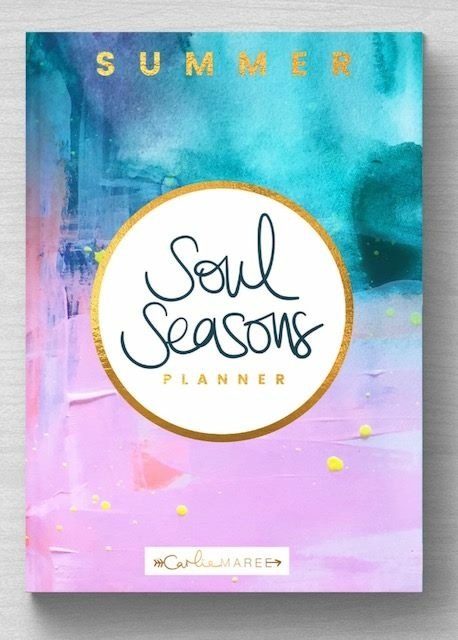 I fell down the planner lovers rabbit hole about 4 years ago, and whilst I love all the pretty planner things, it can be quite a lonely hobby as not a single friend or family member shares this passion. Thankfully a group of awesome women started organising planner days so that we could get together regularly to share our love of planning. We had talked about having a planner getaway and Maddie from Little Tabby Co. decided to make this a reality. 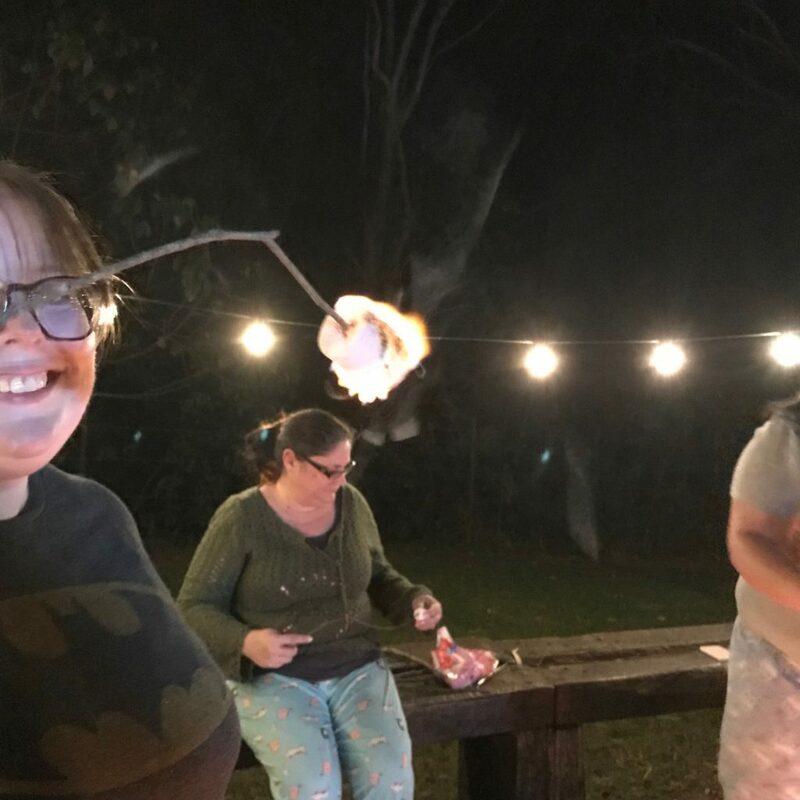 She sourced an Airbnb up in Mount Tamborine with room for 10 ladies and the tickets sold out in a flash. Now I love a girls weekend away and if there are planners involved, I am in! ‘Cedarleesa’ is a beautiful property nestled in a valley, surrounded by greenery. 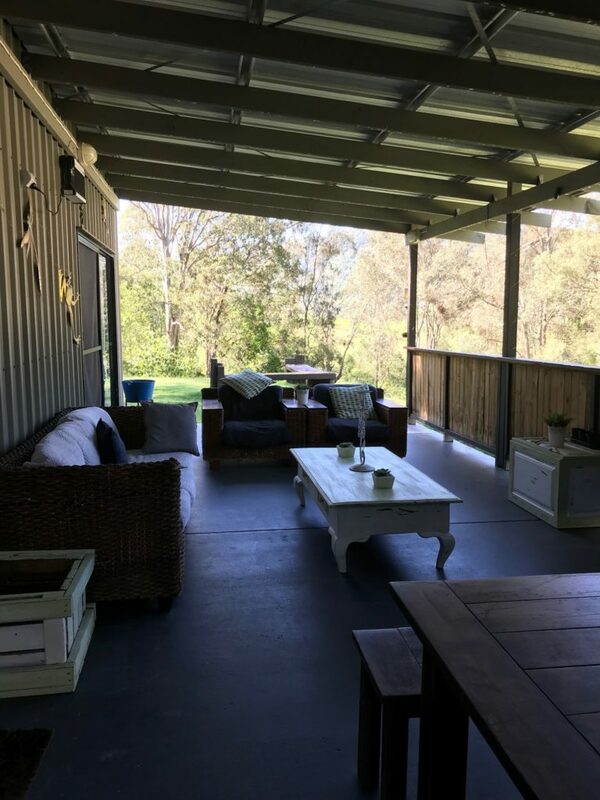 A giant shed has been turned into a comfy and cosy home away from home with two outdoor living areas, beds for 10, two full bathrooms with one featuring a spa and a fully equipped kitchen. We were all suitably impressed and ready for a night of fun. There are chickens clucking around in the grass nearby, the resident dogs just walk right in and make themselves feel at home whilst accepting the never ending pats that were offered. Meeting the ‘locals’ included feeding these two beauties with a bale of hay that the owners dropped off for us. 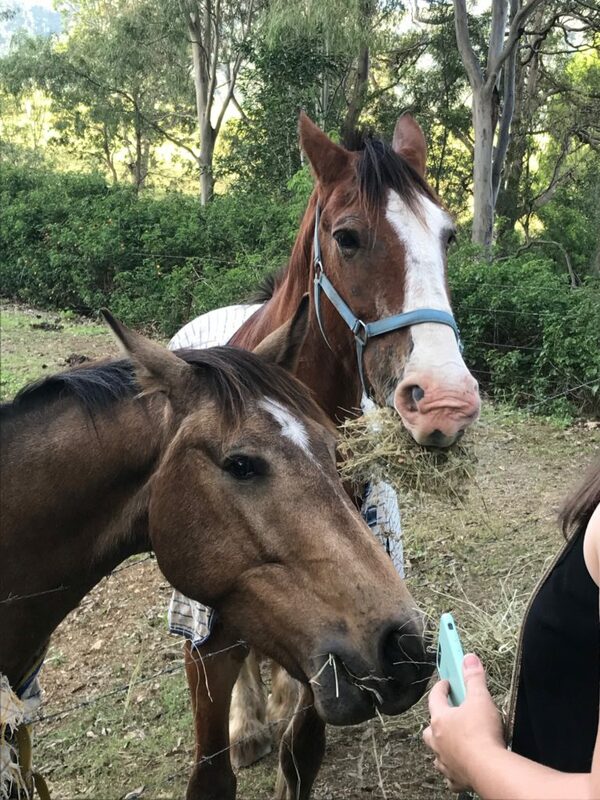 For a few of the ladies this was the first time they had got up close and personal with a horse, let alone fed one. What would a planner girls retreat be without swag? AND we got tons of it, thanks to the generous donations from lots of Aussie planner shops and goodies that Maddie arranged. Do you see that Simply Guilded gorgeousness in that pile? Maddie went above and beyond in organising activities to keep us occupied during our stay. 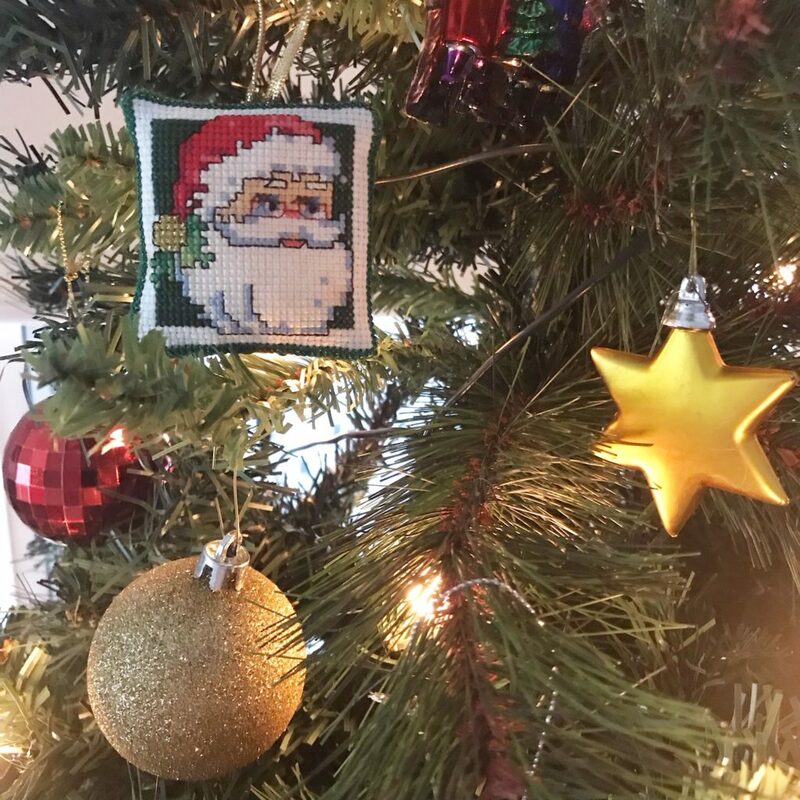 We all brought a ‘Secret Santa’ gift and had great fun playing the ‘Naughty Santa’ version which allowed us to steal other peoples pressies that caught our eye. No planner girls retreat is complete without some crafty fun. We were split into pairs and were given a blank Erin Condren spread and a pile of sticker left overs and we had to use just that and washi tape to create the best spread we possibly could. For dinner we had fabulous wood fired pizza’s and garlic bread that the owners made for us and all we had to do was put them through oven. Whilst dinner was cooking the owners son built us a bonfire so we could toast marshmallows. Super toasted on the outside and super soft inside…yum! 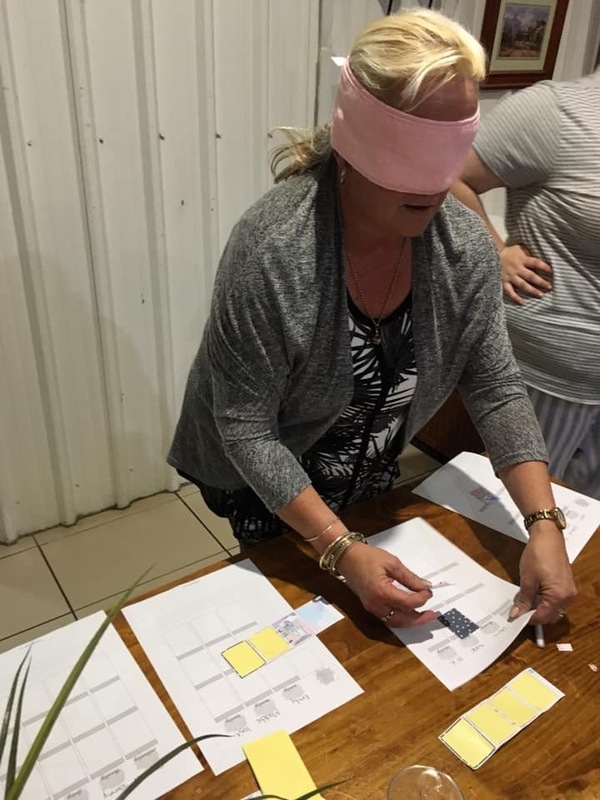 After a few wines and a shot of Tequila, we played Pin The Sticker On The Planner Spread, with the goal being to try and get the sticker into the box as straight as possible whilst blind folded. I almost won that game, but Maddie was the last one to place the sticker down and it was so close to perfect, she nailed it! The night was cooling down rapidly so we were all cosy inside going through tons of papers that had been printed out with the intention of making dividers with all the die cuts and other pretties that had been brought along, but not a single one was made, we too busy chatting and snacking on the huge amount of yumminess that everyone contributed to. Breakfast was toasted egg sandwiches made from fresh eggs that had been collected the day before by the owner and dropped off into the kitchen…..got to love the country way of eating. When you get 10 ladies together that don’t really know each other, it can swing one of two ways. It can be filled with awkward silence and feelings of uncomfortableness or it can be a time filled with laughter, chatter and sharing the one thing we are all so passionate about and for all of us it was definitely the latter. None of us wanted to go home, it was just so much fun in such a lovely setting. Thanks to the huge success of this very first retreat, another is being planned for 2019 and also a weekend Food and Wine cruise in the latter half of next year. Keep your eyes glued to the Plan B Facebook page for details as they become available, as you don’t want to miss out again! What would be the most important thing for you to have at a planners retreat? 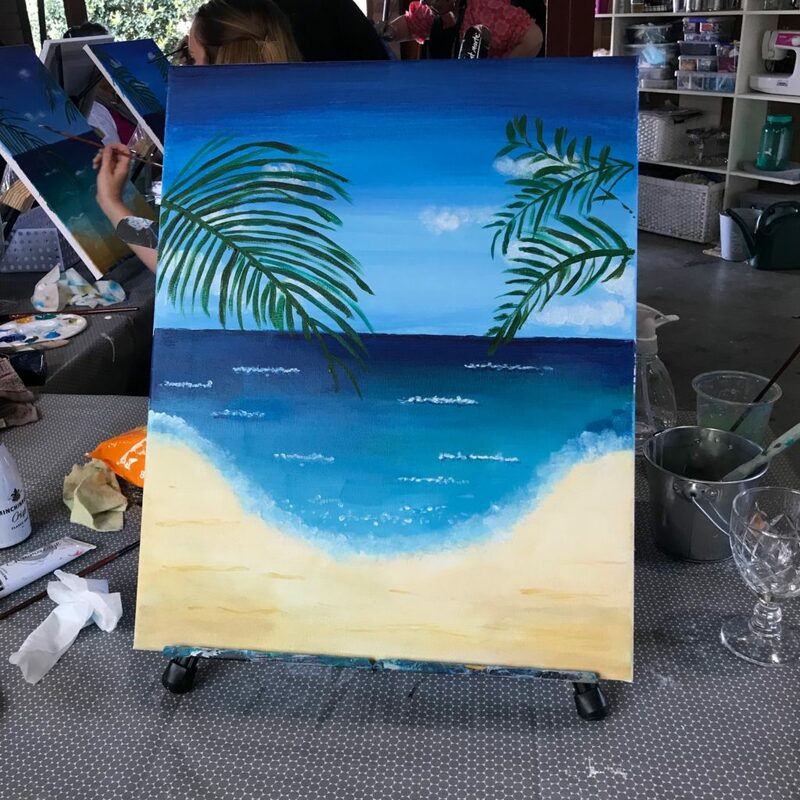 Paint and Sip Class – A colourful way to have fun! 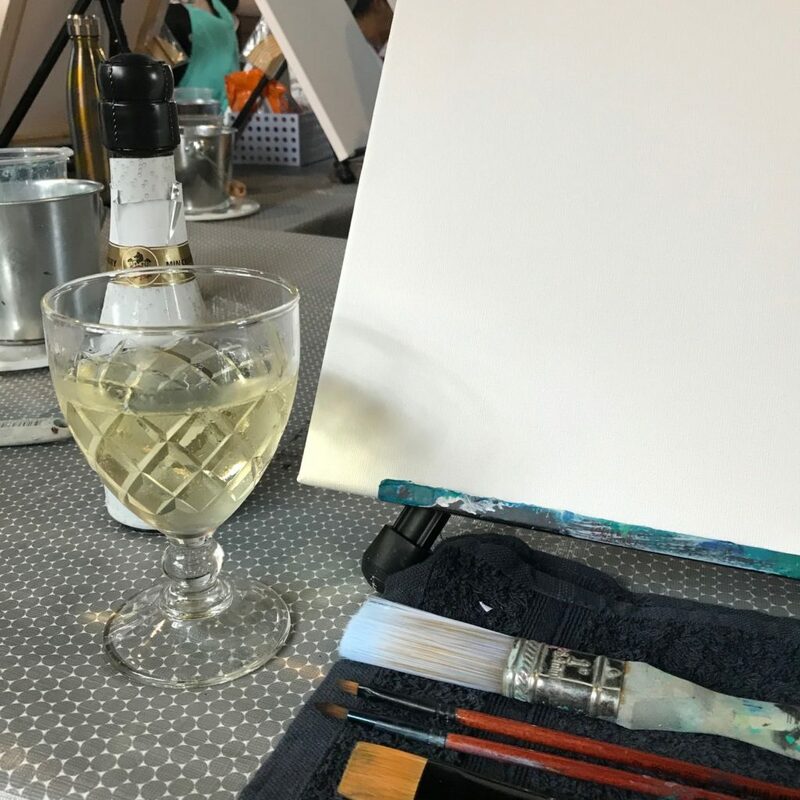 When a dear friend suggested we go to a Paint and Sip class for a Sunday afternoon outing, I said yes straight away…there was paint and champagne on offer! She had found out about an art studio heart n’ hoopla that had recently started these fun events and it was not very far from home. One of my biggest passions is playing with craft supplies but strangely enough, paint plays a big part in my creative endeavours, but not where a canvas is involved. Even though I know my way around all the different types of paint available and can wield a brush, I was a little concerned about playing on a big piece. My fears were quelled quickly once we started as we were guided through the process step by step with lots of helpful hints from our fab teacher Teresa. The hardest part of the whole experience was trying to paint the horizon line straight, and honestly that was only hard because the perfectionist in me hates lines that are not straight! My favourite tip of the day was to paint clouds using your finger tip…worked like a charm! 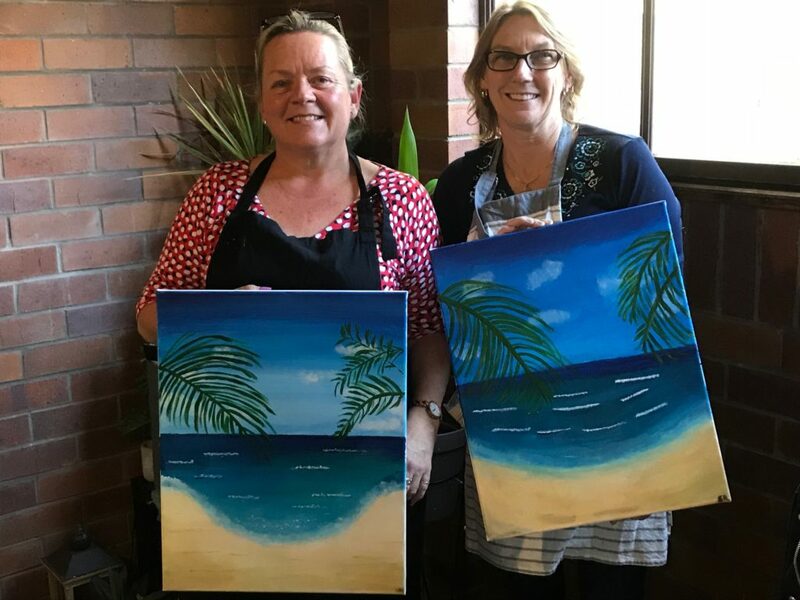 My friend Sue (on the right) had never picked up a paint brush in her life before, but look how amazing her painting is! A quick google or Facebook search should help you find a class not too far from home. Some include your alcohol and some do not. Ours was BYO so we took a little piccolo of bubbles as we both had to drive. For $35.00 we had everything else provided including canvas, paints, brushes and two hours of tuition which I think is a real bargain. As the beach is my happy place, I have hung mine up on the wall with pride as I never thought I could create something that looked so good. Just like Sue, even if you have never painted a thing, this really is a great way to tap into your hidden creative and end up with a canvas you will be proud of. With Christmas creeping up very quickly, a Paint and Sip class would make a great gift for that friend that has everything or simply shout yourself an outing and charge it off to selfcare, as it really is just so much fun and nowhere near as frustrating as I thought it might be. Do you have a creative pastime? 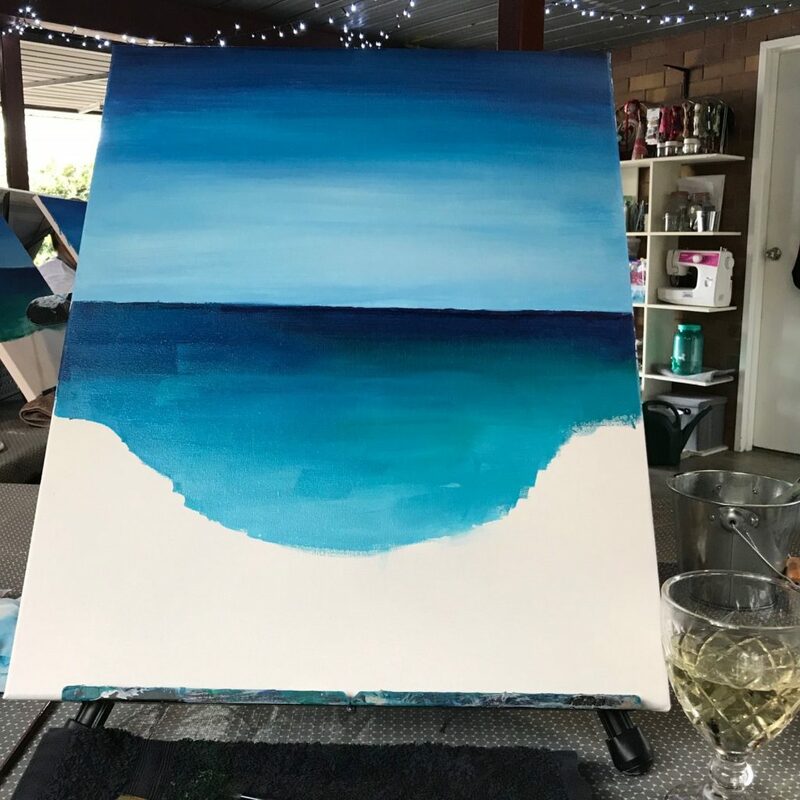 Have you ever been to a Paint and Sip class? My eyes light up every time I see a new planner and if you could just take a quick glance around my office, you would see that my addiction to pretty paper planning is very real. 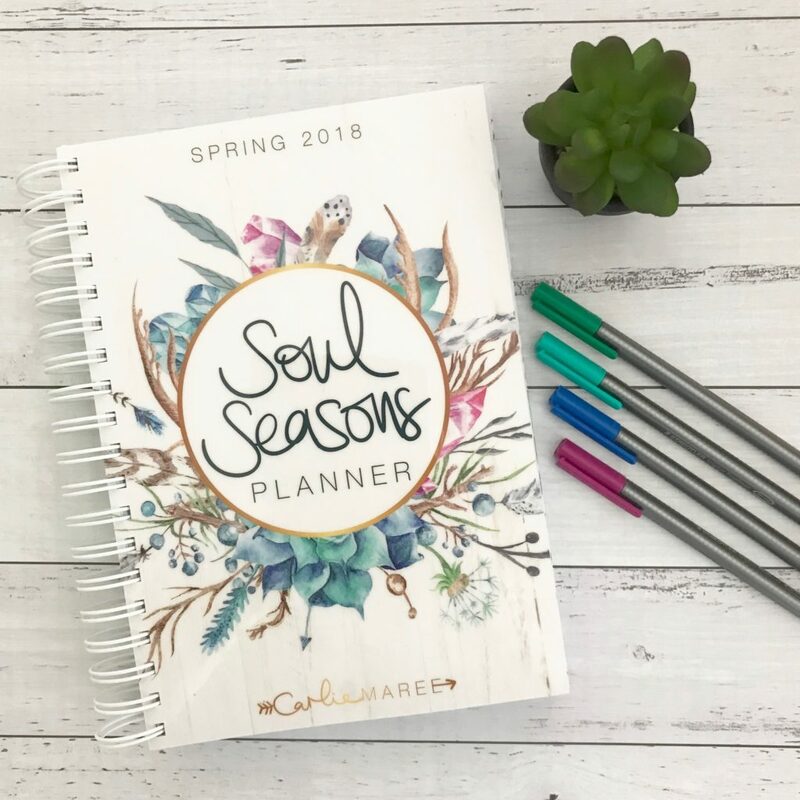 When this stunning Soul Seasons planner arrived on my desk for a review, it was love at first sight. This planner is quite different from the traditional paper planners currently available. It has been designed to be goal setting work book combined with space to make lists and action plans. 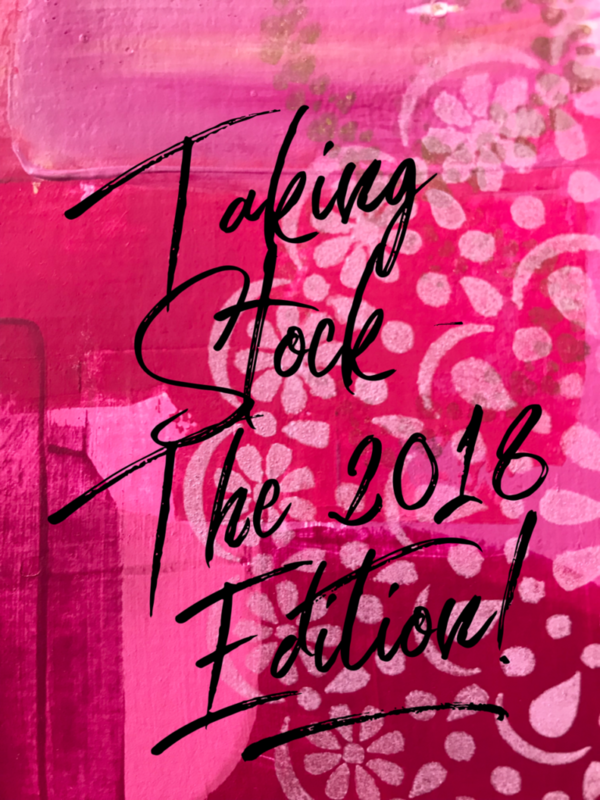 As the name suggests this planner is seasonal with this first edition being for Spring 2018, and then the next one will be Summer and so forth, so you get to enjoy that beautiful brand new planner feeling 4 times a year! 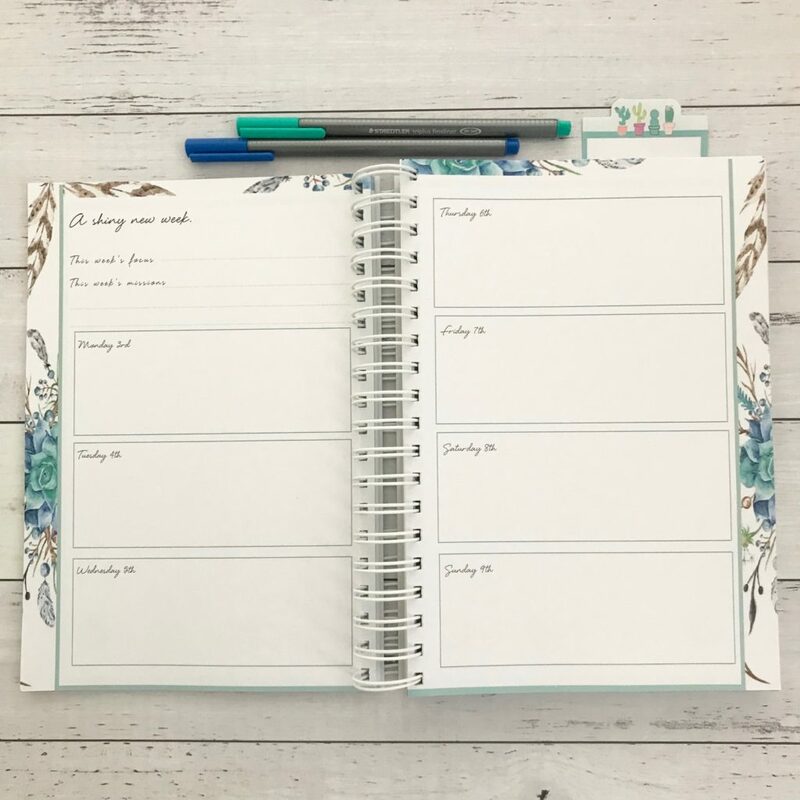 Carlie Maree is a writer, teacher and mentor who created this planner as there was nothing quite like this available, that provided enough space for focusing on what is really important to you, keeping on track with your progress and ensuring you did not forget important dates. As this planner has been designed to be a goal setting work book, combined with a space for recording action steps and time management there is a great introduction to help you make the most of this section. There is a double page spread for each of the 9 important life goals included so you have lots of room to make notes. 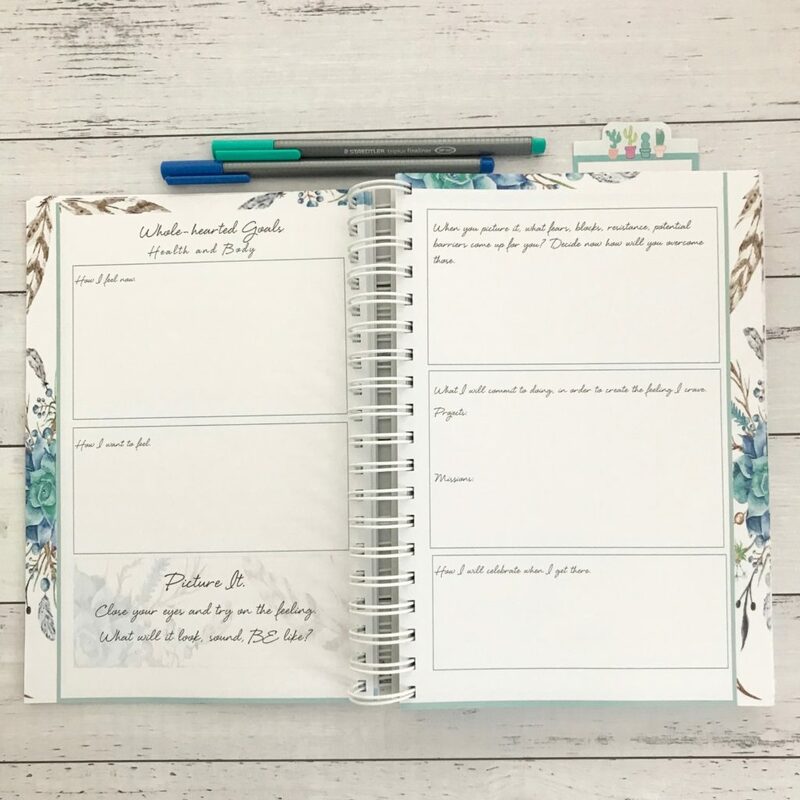 As you move into the planner section you have a full month-at-a-glance page, plus an additional page to make project notes. At the start of each week (starts on a Monday) you have a two page ‘A shiny new week’ spread, which again gives you plenty of room to really hone into what is most important for the next seven days. AND finally, each day of the week has a full two page spread that includes a to-do list, a half hourly timed list from 6am to 10pm and the opposite page is blank for you write out all your thoughts and feelings. 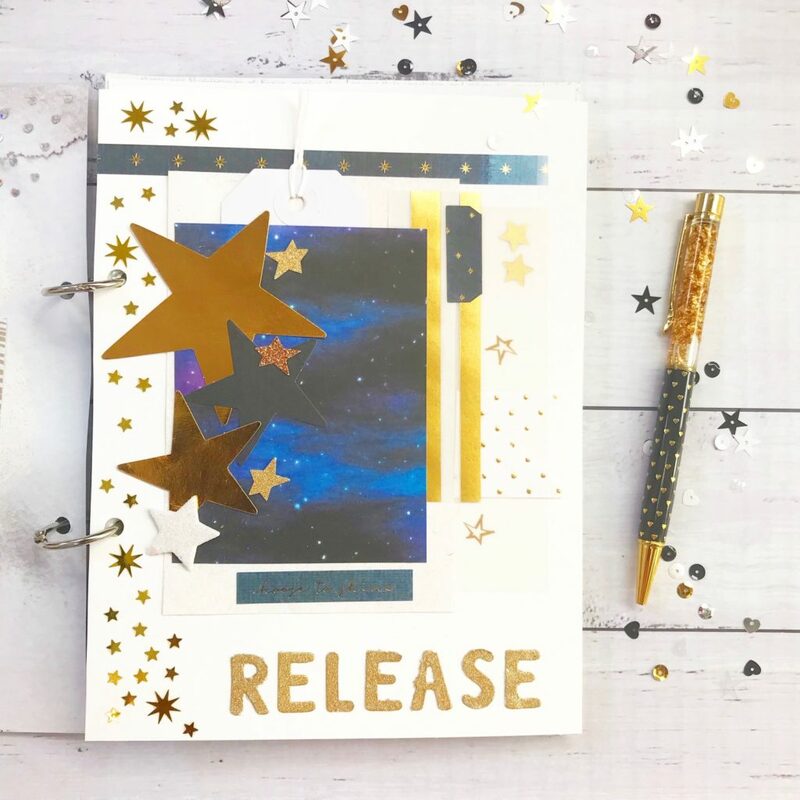 With so much lovely space to play with you could decorate it with stickers, sketch down ideas, add some memory keeping or art journaling, jot down positive affirmations or simply have a great brain dump and get everything down on paper and out of your head. The first thing you notice about this planner is the awesome cover. 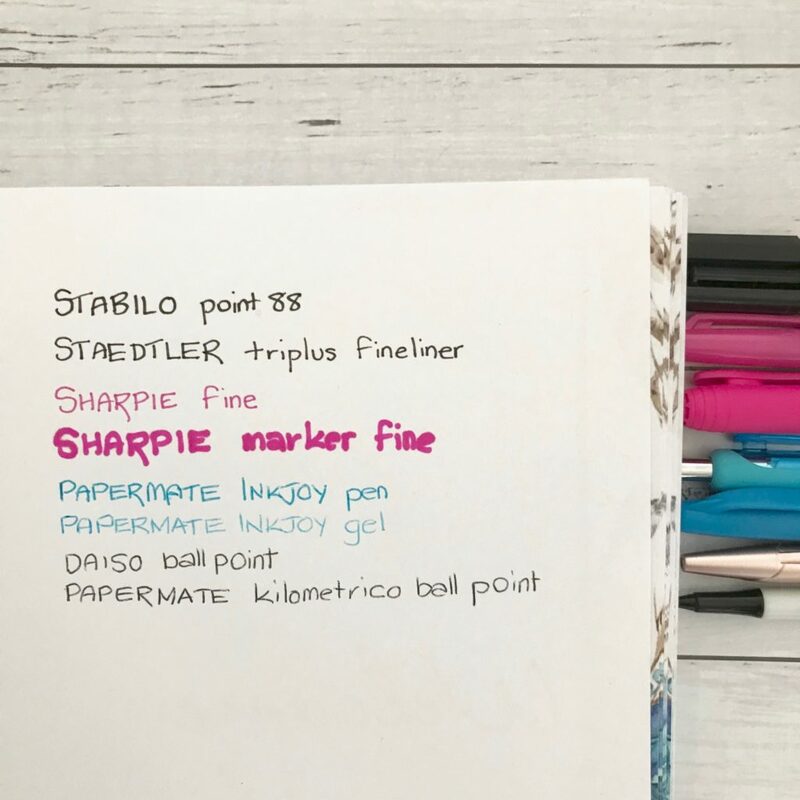 It is solid plastic rather than a laminated version that is a common inclusion in many paper planners, so it will withstand the rigors of carrying it with you in your bag. It measures 24.4cm down and 17cm across (not including the metal coil) so it is a little bigger than an Erin Condren and almost identical to a Happy Planner. The paper quality is superb at 120 GSM and so this planner is quite thick at 2.2cm. All 260 pages include full colour printing, not just a pretty cover. 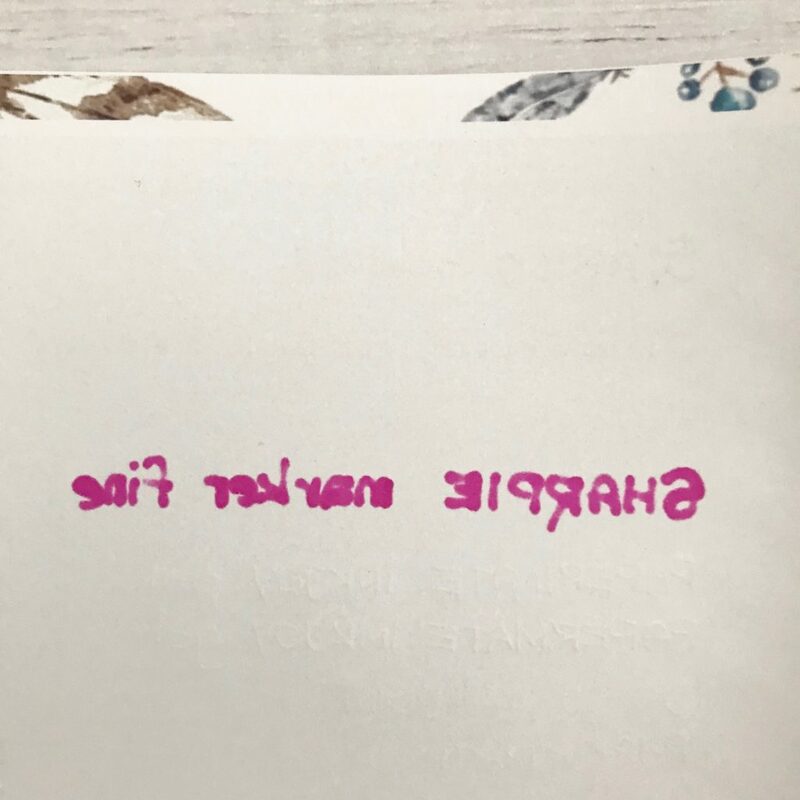 The paper passed the pen test beautifully with the exception of the sharpie, but that was to be expected as this style of pen will bleed through just about every paper type. 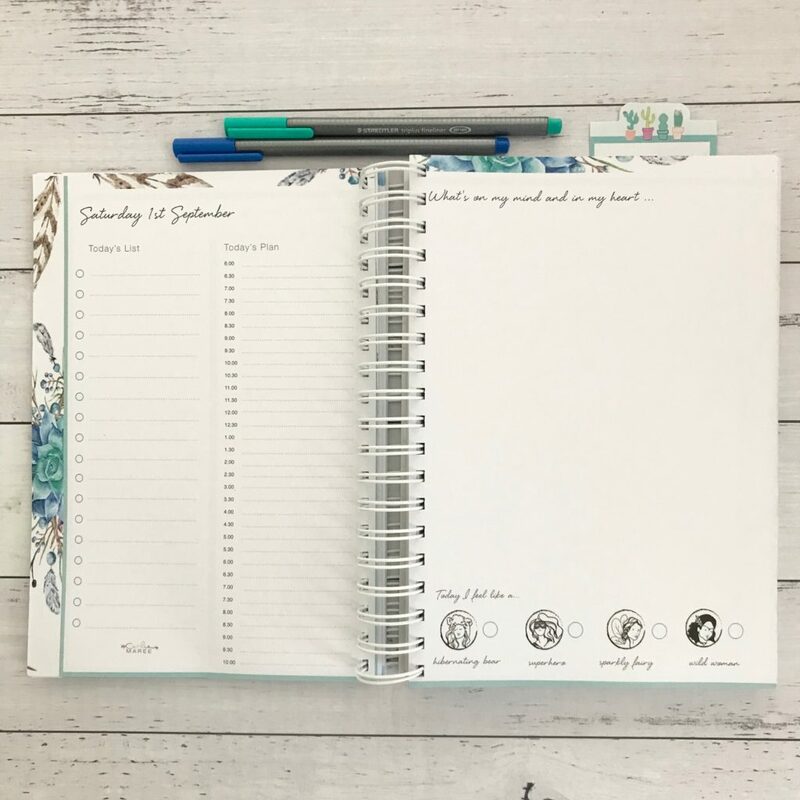 This beautiful planner is a quality product and if you would love a single place to keep track of your goals and important dates it could be the perfect choice for you. 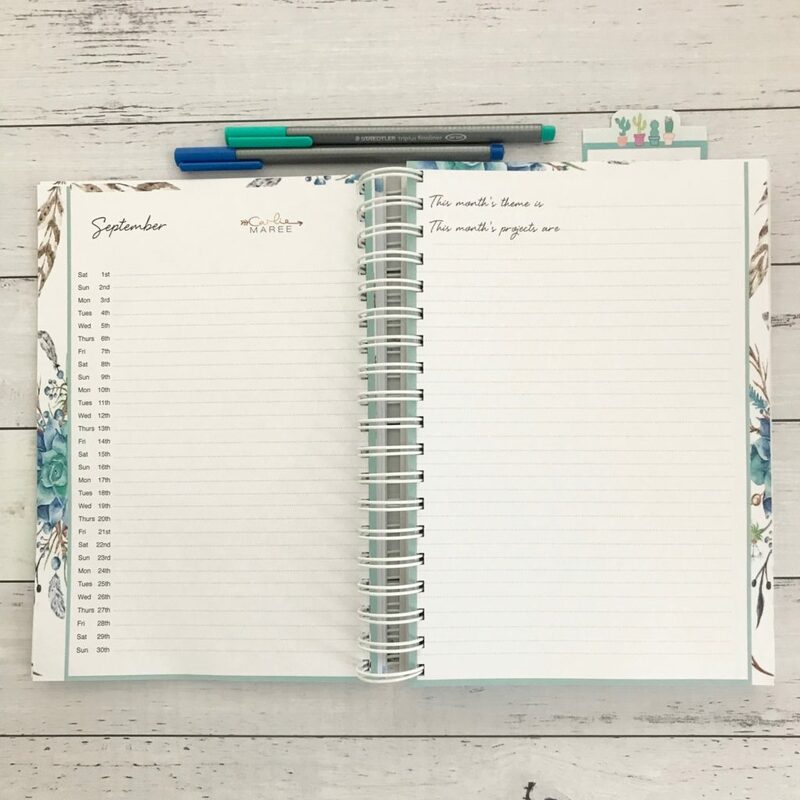 Unfortunately as this new release planner was so popular the Spring edition has sold out, but you can pre-order the Summer addition at a special discounted rate here. …. and it will look like this (mock up image). Please leave a comment if you have any questions and I will be happy to help. Do you spend time writing down your goals and creating an action plan to make them a reality? Have you found planner peace? Little did I know that when I discovered decorative planning by shear accident 4 years ago, that I would fall down a rabbit hole of stickers, pens, washi tape and sticky notes, and that there would be enough people in Brisbane that love the same things to justify setting up something as awesome as the Brisbane Planner Market! Just look at that line-up, they are not waiting for coffee! In the past I would faithfully buy a new diary in December, with full intention of using it religiously to stay organised and I would get to about the 4th of January and it would all but be forgotten for another year. 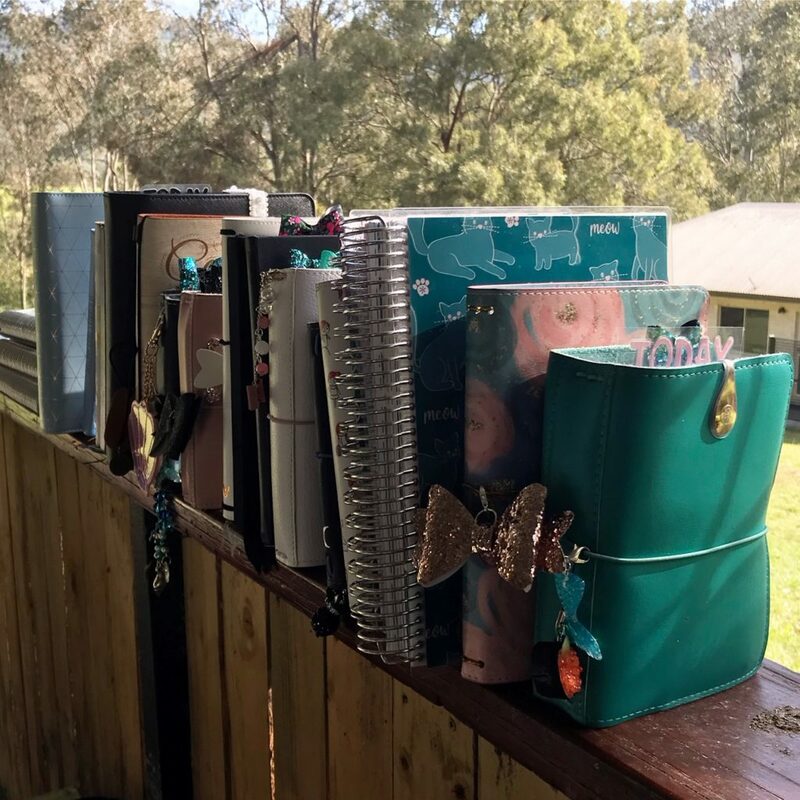 Not long after discovering this strange new crafty world, I was lucky enough to win a giveaway of a Happy Planner from an awesome lady in the USA who knew how hard it was for people outside her country to access all the goodies that are readily available to them. This whole pretty planning thing appealed to me so much as I have always loved playing with crafty things and once I fell down this rabbit hole, I had the perfect excuse to sit down each week and decorate my planner, but best of all I actually use it for its intended purpose every single week. In those few short years things have changed dramatically. 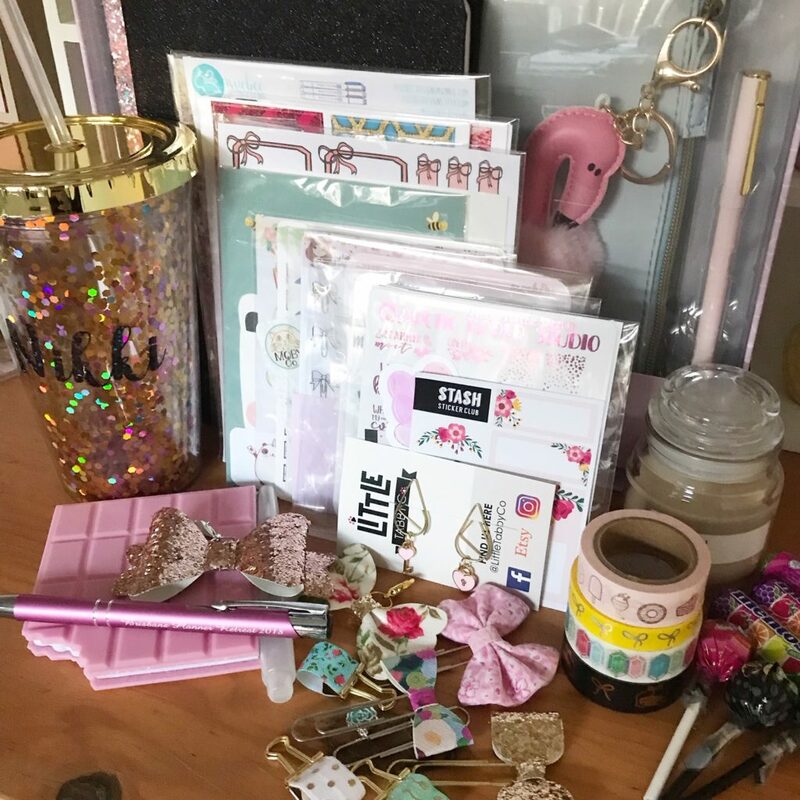 There are lots of incredibly creative people that make all the planner supplies and online stores that import goodies that we crave. 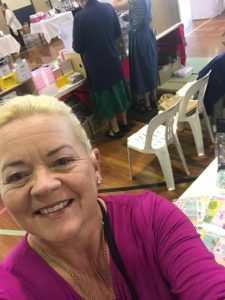 Thanks to the tireless organising efforts of Bianca from Washi Tape Australia we have just had the 4th Brisbane Planner Market and Sydney and Melbourne have hosted their own as well. I have been a stallholder with my shop WW Designs for all 4 markets, and whilst my business has allowed me to make pretty things for planners which I just love doing, especially if sparkly things are involved, the market is a fun way to spend time with people who love doing what I do and understand the insatiable desire to buy ALL the stationary things. The Brisbane Planner Market is a great day out for planners obviously, but it is so much more than sticker shops on steroids. You will find beautiful note books, pretty pens, stamping and scrapbooking supplies and you can even take classes to learn a new skill. This quick video gives you a really good overview of how awesome the day was and the volume of people that made the effort to come along. If you have been sitting on the fence about whether it is worth visiting, it really is a fun day where you get to meet all the great stall holders, buy special release products and not pay any shipping fees….oh and Australia Post can’t lose your goodies! Don’t miss out on this great day because you need to go alone, its a perfect opportunity to meet a new planner friend and if you don’t like crowds, just go later in the morning after the initial wave has passed. The next Brisbane Planner market is currently penciled in for May 2019. Follow the Brisbane Planner Markets Facebook page for updates so you can get the date in your planner as soon as it is announced, and don’t forget to say hello when you pass my stall! 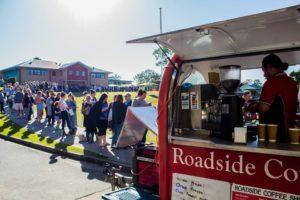 Did you go the Brisbane Planner Market? The last 3 months have gone by in a flash and have brought so many changes, together with a lot of stress and exhaustion but thankfully there is peace on the horizon and a few great discoveries were made! Its official, I hate moving house! A decision to downsize from a very large four bedroom home with a shed to a smaller home without a shed brought a heap of challenges as not only did we have to pack, we had to do a huge declutter as there was no way everything was going to have a spot in our new place. 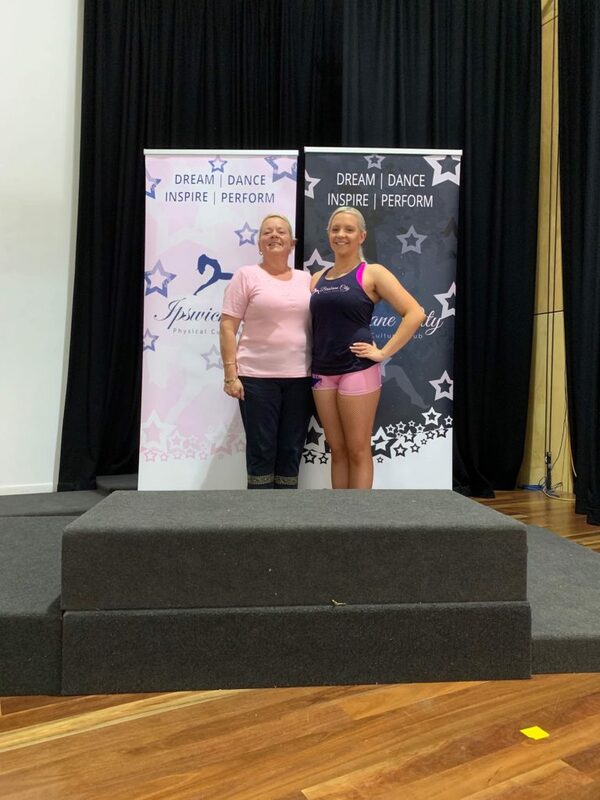 It is times like this that being a single mumma is tough as the workload was huge, but we got it done and thanks to a troupe of Miss WW friends who came to our assistance we got it done. 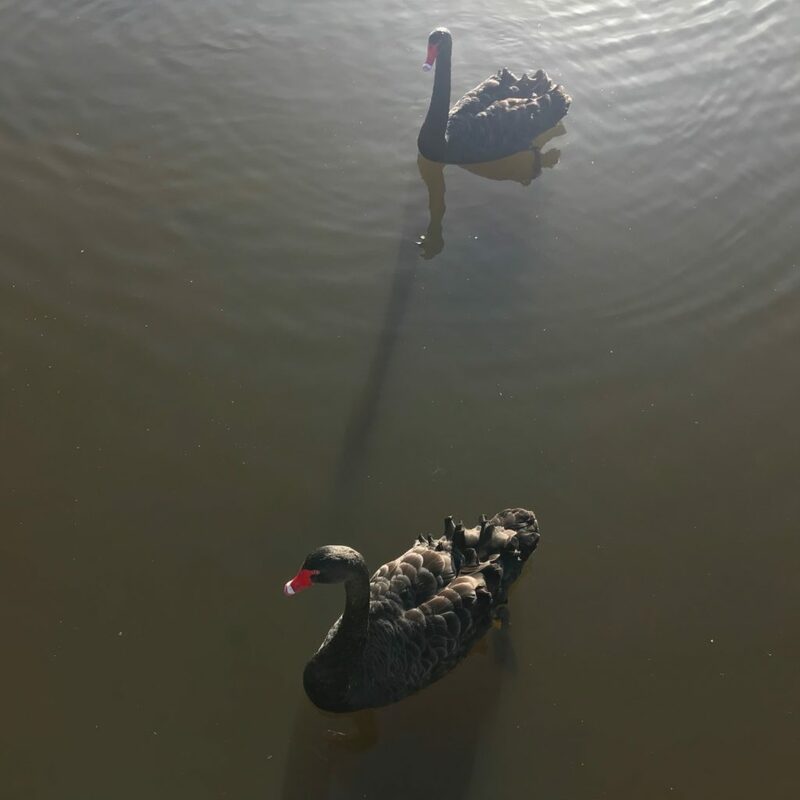 A beautiful lake is now part of my walk and I got to the meet the ‘locals’ on my very first visit. 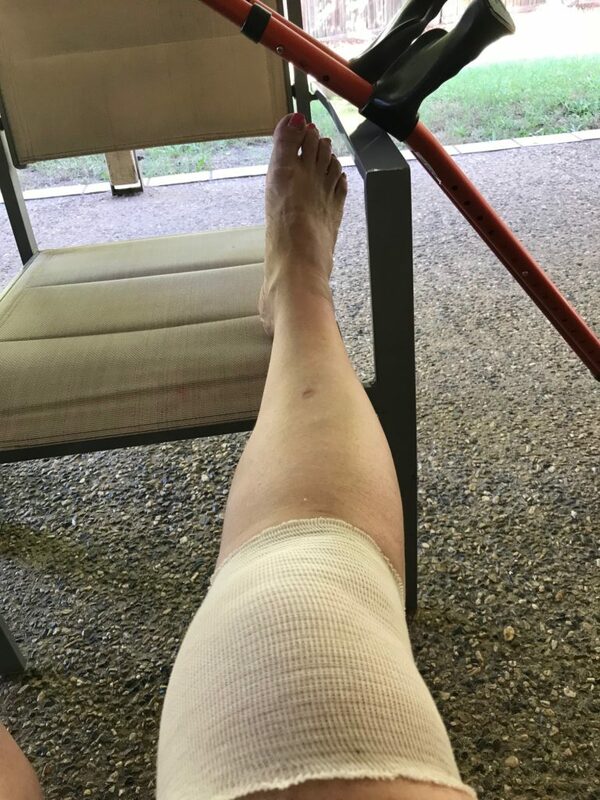 Not only is moving house hard work, it does not help when you have a ‘little’ accident at work and crush your meniscus. Valuable lesson learned, do not jump down off a pallet with your hands full and land on a concreate slab with all your weight behind it. Your knee will be eternally grateful. Seven weeks later, it is 95% healed and will eventually be perfect we hope, but at least every step no longer causes immense pain. 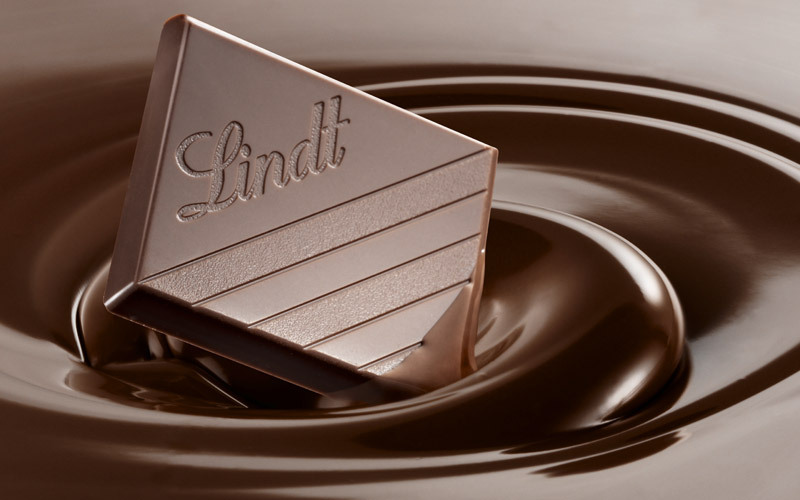 The release of Caramilk by Cadbury caused downright hysteria. 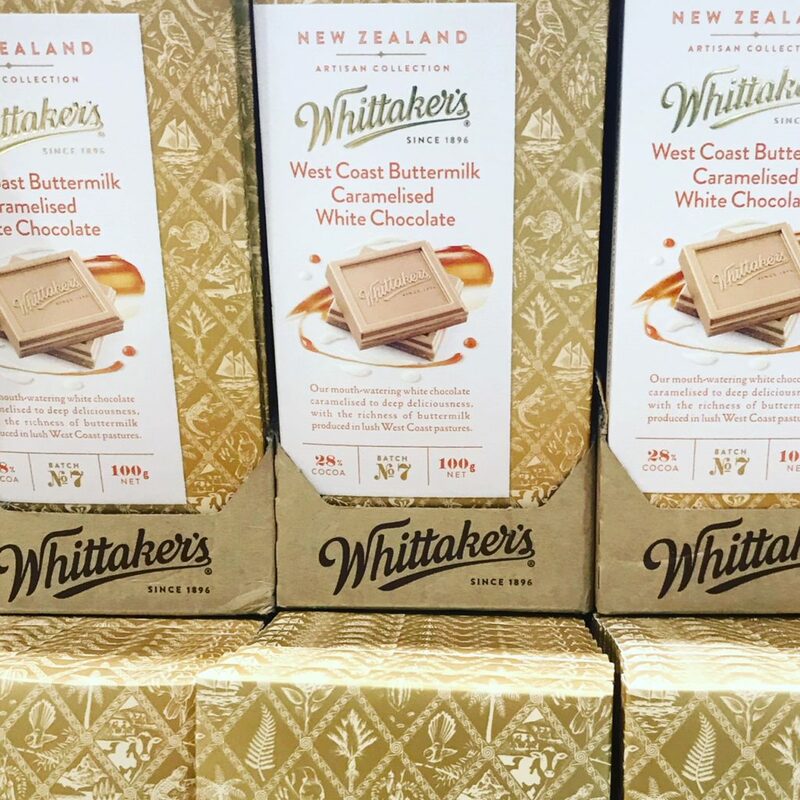 Even though I love chocolate and caramel things, I waited patiently for stocks to arrive in the supermarket and bought I single block so I could try it. Have to say I was quite disappointed with the taste and could not understand why people were buying it in bulk and hoarding it. 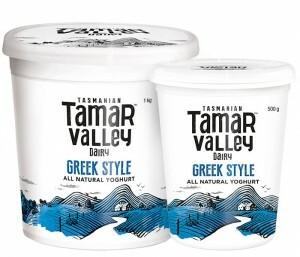 One of my work colleagues suggested I try this alternative and oh boy, it is so much better and can still be purchased today unlike Caramilk which is gone. Do yourself a favour and buy this if caramel flavoured chocolate is your thing, you will not be disappointed. Packing up my bathroom to move was an interesting experience. I was amazed at the amount of products that had amassed in the cupboards. I started reading labels as that is something I really had time for….not. But there were so many items that were literally just chemical cocktails and I had decided that I only want to use products that are not tested on animals, as I don’t see why my looks should come at the price of animal cruelty. 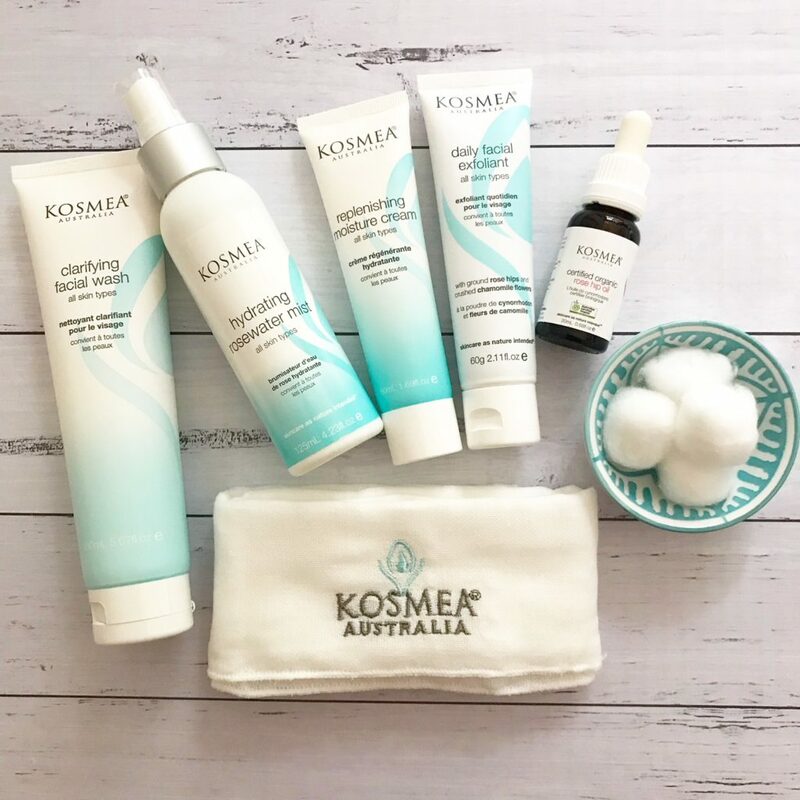 When the lovely ladies from KOSMEA approached me a while back to see if I would be interested in trialling a selection of their natural skin care range, I did my homework before I said yes and this range more than ticks the boxes of offering ethical products. 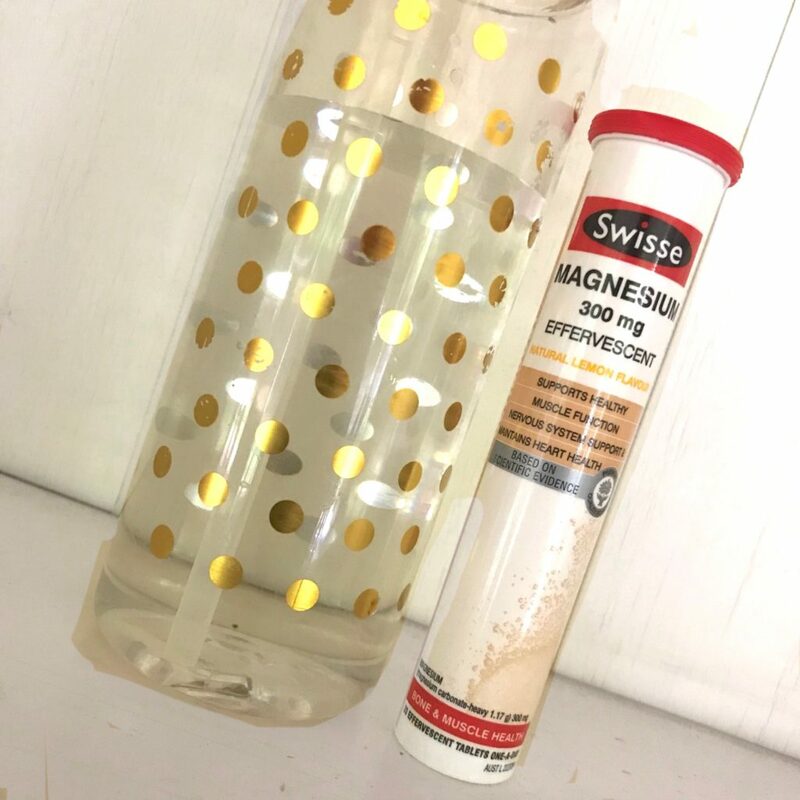 The first thing I noticed when I started using the products was that the clarifying facial wash did not foam up, which is proof that it is not laden with Sodium Lauryl Sulfate, a known skin irritant and is actually used in pesticide. It also did not leave my skin feeling taught and dry, just beautifully clean. 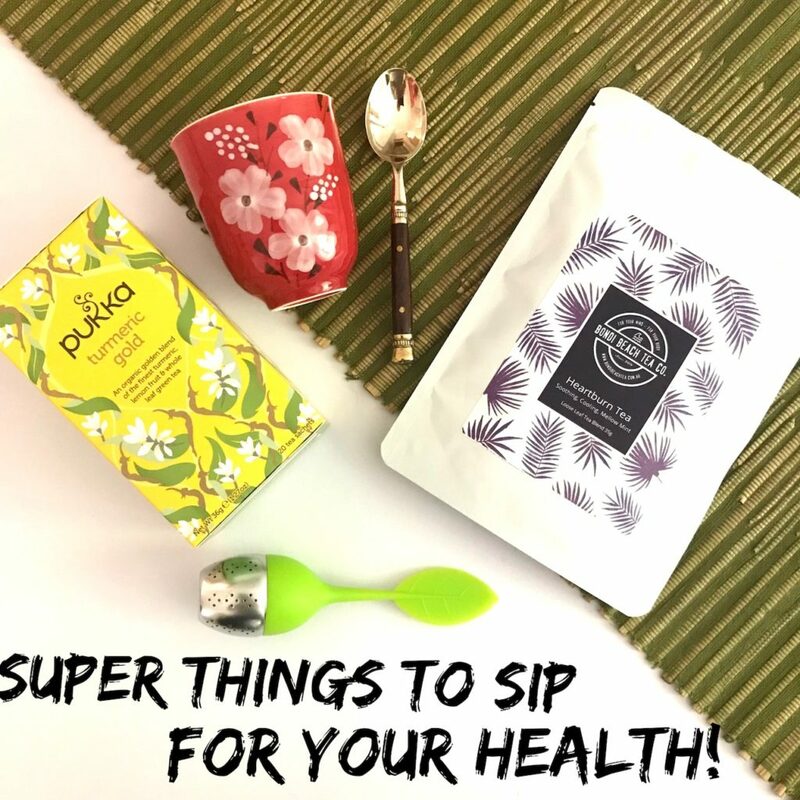 All the other products are also a delight to use and incredibly good value for money. Another favourite product is the jazzy cleansing cloth that is a great alternative to disposable facial wipes. 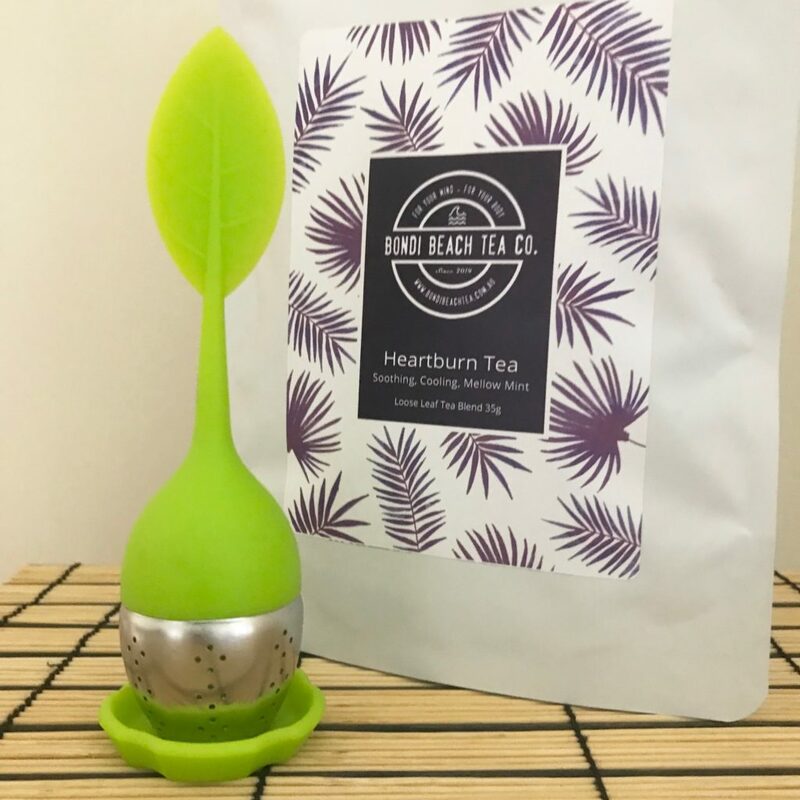 A gentle massage with this cloth will remove all make up and exfoliate in one hit which is so much better for the environment and avoiding the harsh chemicals used in many of the disposable options. They have an extensive range and you can discover it all here. Many years ago we used to live in South Australia. I went to a local area school as we lived almost two hours south of Adelaide. I made some really good friends there, but we all split apart and headed to schools in the city in the hope of getting a decent education in year 11. 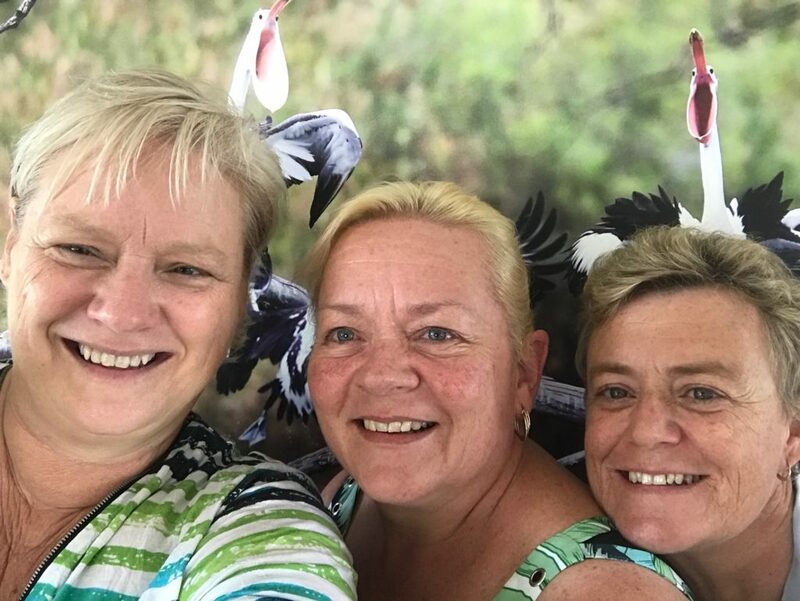 I moved to Brisbane as the rest of my family had relocated here and thankfully one of those girls is still a great friends after all these years. Three of us had a reunion that involved much talking, eating and drinking as you do. If you like to sip on a G&T, you have to try this! Not only is it visually fun to make as the colour changes from a violet to a pretty pink when you add tonic water, it is also one of the nicest Gin’s I have tried in a long time. My friend got given a bottle as a gift and hung on to it until we had our get together and I am very grateful she did. Whilst happily sipping away we managed to track down number 4 and phoned her for a catch up. Number 5’s whereabouts still alludes us but one day we just might find her. It is amazing how long you can live in an area and still find awesome places to eat that you didn’t even know existed! My bestie invited me out for lunch and she took me to the Samford Lifestyle Centre. How this awesome place flew under my radar for so long astounds me. Obviously they have a restaurant that only has a smallish menu, but everything is made fresh with local ingredients where possible. 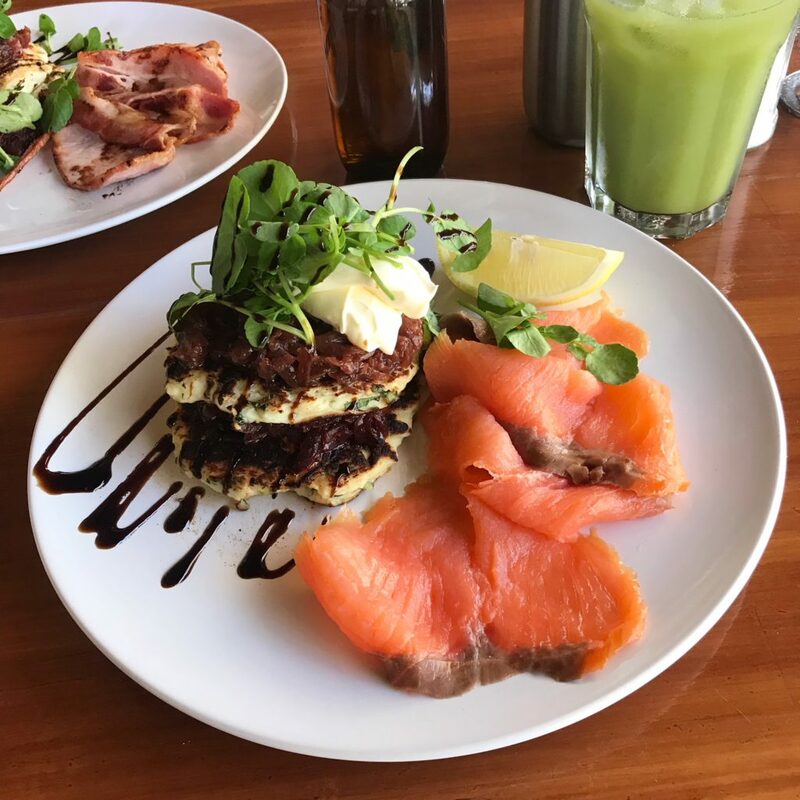 These ricotta patties with smoked salmon and homemade beetroot relish were simply amazing. They also make really good coffee and have a cake cabinet full of unique treats rather than the same old slices and tarts that come from commercial kitchens. Not only can you enjoy dining in rural surroundings, there are shops, yay! A fabulous gift shop, a nursery, an organic/natural store with skin care, cleaning products, a yarn store, a day spa and more. This is definitely not a place to visit for a quick bite to eat, you really need to allow a few hours to fully enjoy it. What great new things have you discovered that I should check out this winter, as I really need something to brighten up my most unfavourite season of the year??? 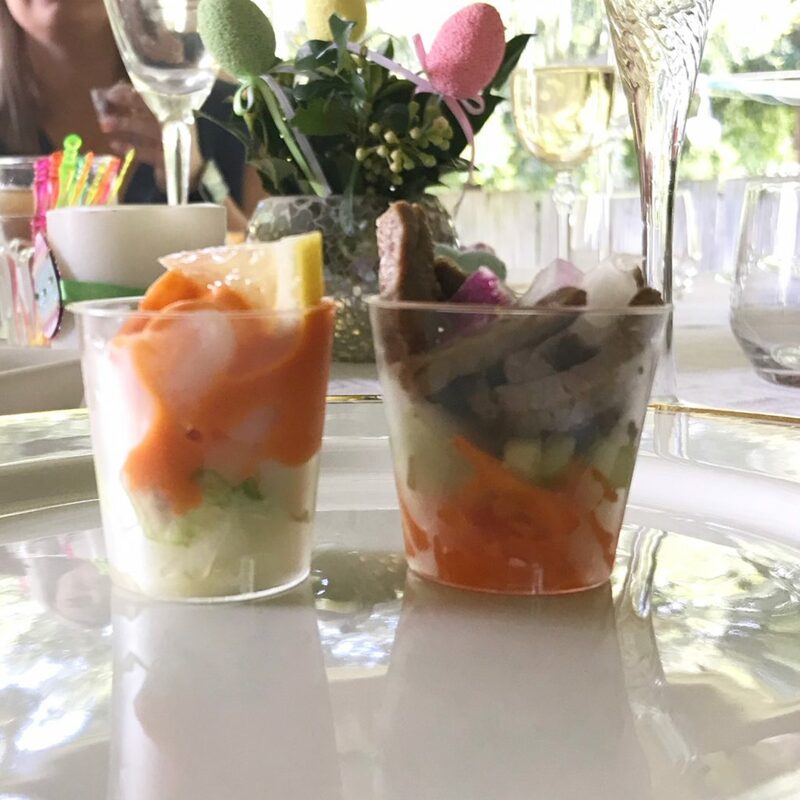 I have always loved making mini food for parties but have not done any for quite a while, so when I was choosing a menu for Easter, I decided to do the whole meal bite size. It is a really fun and easy way to feed guests whether it is for a party or just a casual get-together. All you need is a packet of disposable shot glasses and any food that is cooked or will set in the fridge as you can’t put these plastic ‘glasses’ in the oven. The two above were super quick to make and disappeared in a flash. Best of all they can be done in advance so you don’t have to spend all your time in the kitchen. Simply layer finely shredded lettuce, cooked prawns that have been chopped into small pieces, Masterfoods Seafood Cocktail sauce and a mini lemon wedge. Layer shredded carrot, finely diced cucumber, small slivers of beef and a few pieces of red onion. Tomato bruschetta with tiny toast fingers, diced chicken with mayo and sundried tomatoes, mini ‘buckets’ of hot chips, mini fried rice cups, potato salad with crispy bacon bits. Any food that can be cooked in advance and served cold or gently warmed will work. Filling them full of sweet things for dessert is fun too. Chocolate mousse, Tiramisu, Eatons Mess, cheese cake, fruit salad, jelly and custard all work really well. Jelly shots with a splash of Vodka are always popular. I usually buy a packet of cocktail forks from the supermarket to serve with mini food just to make it a little easier to eat without having to tip the food into your mouth. Small spoons work better for desserts and I get these from my local cheap shop. The best part is cleaning up, you just through it all in the bin when you are finished. But if you want to be more environmentally friendly I also have a big stash of mini latte glasses that I have used when I want the event to have a bit more formality and I just pop them in the dishwasher at the end of the night. What is your favourite party food that you could serve in mini form?